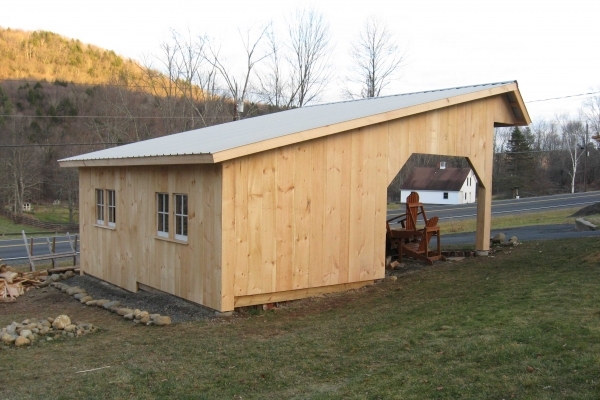 This 20'x20' shed was built to replace a lightly built structure destroyed by a micro-burst. 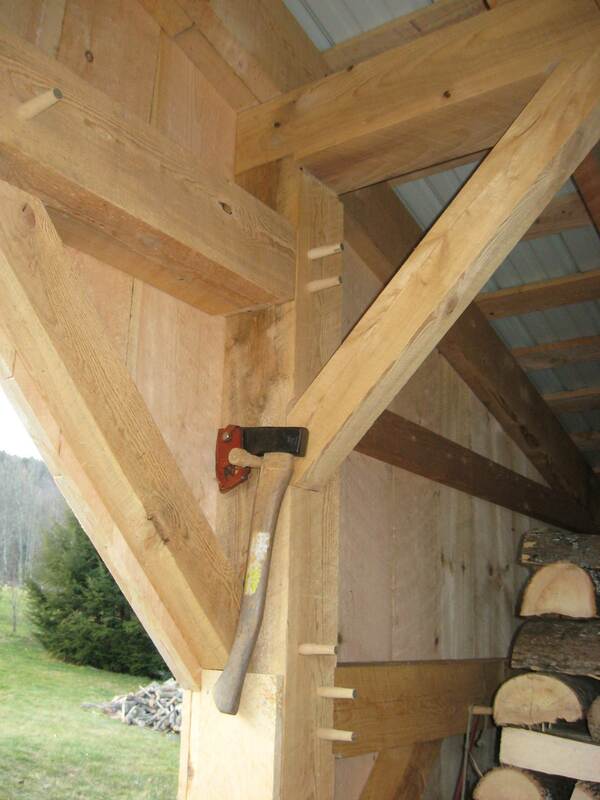 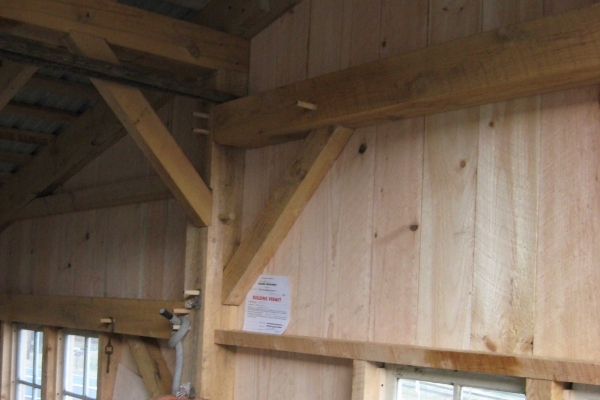 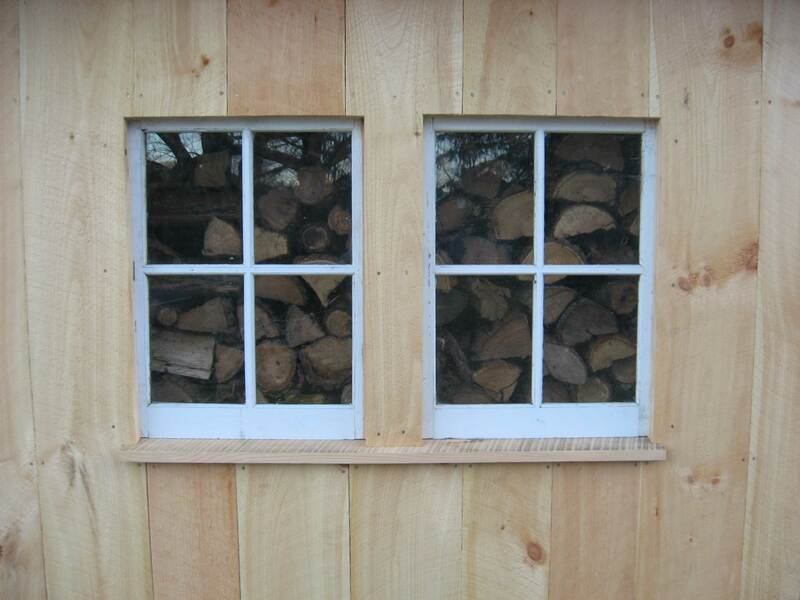 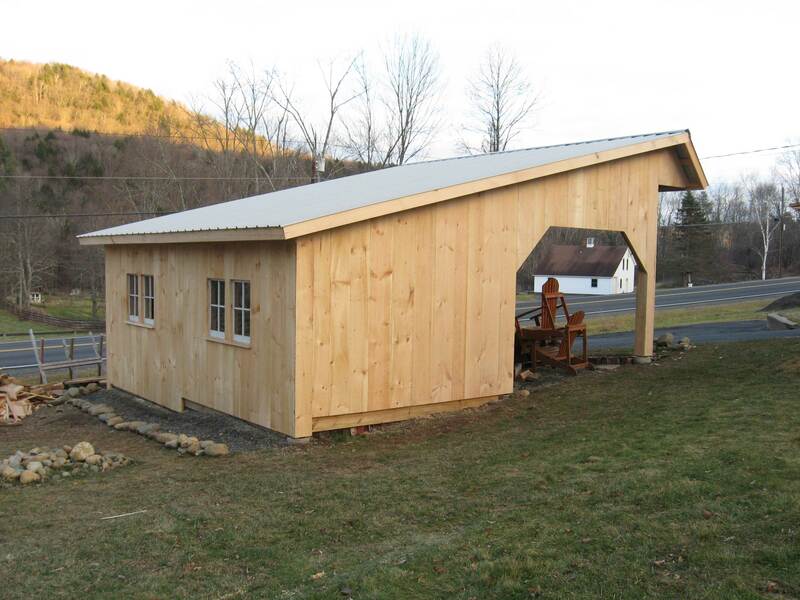 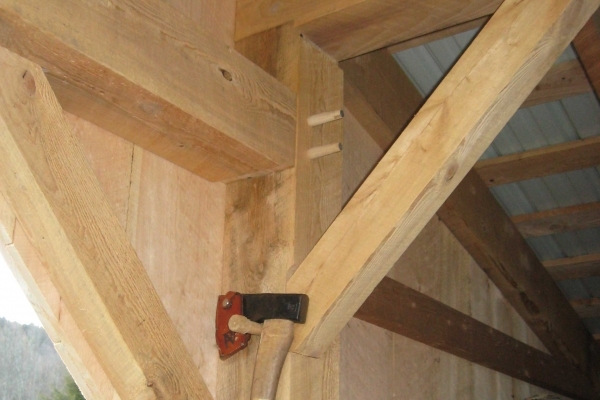 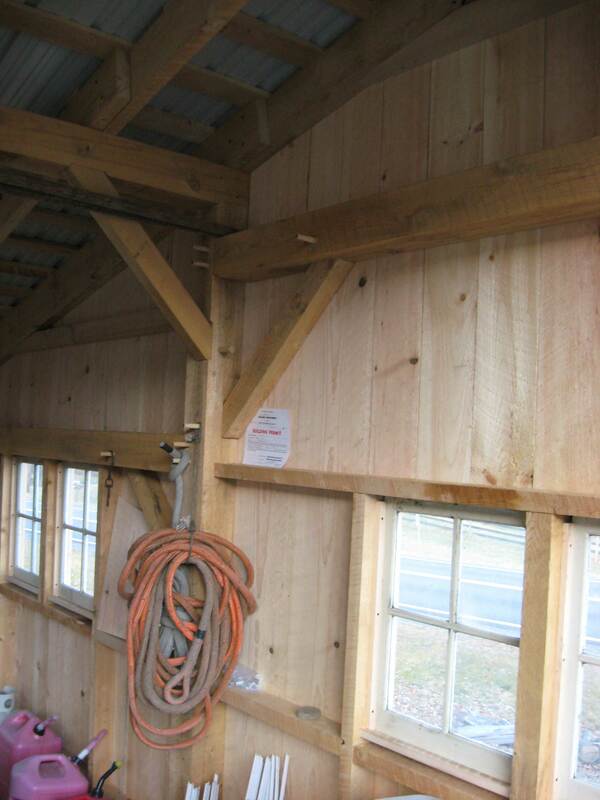 Like many of our frames, this shed was cut from 6”x6” hemlock timbers and sided with a double layer of ¾” pine. 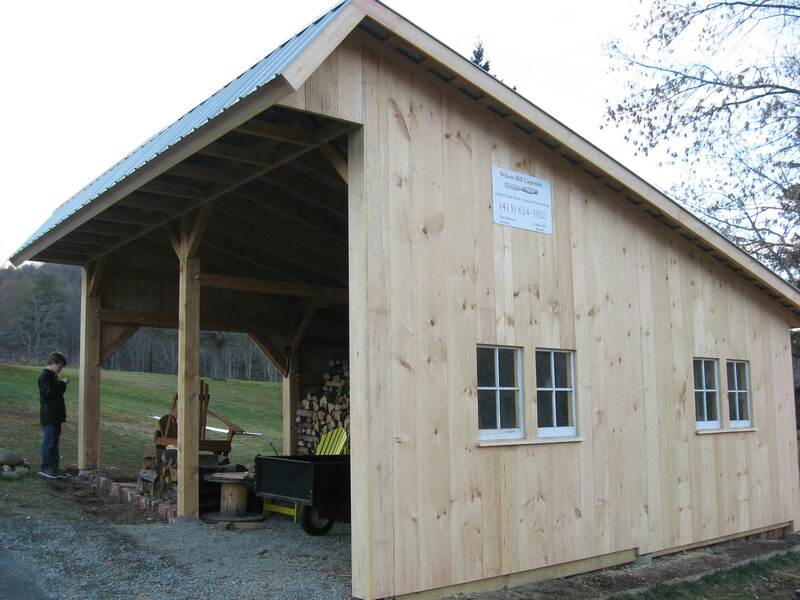 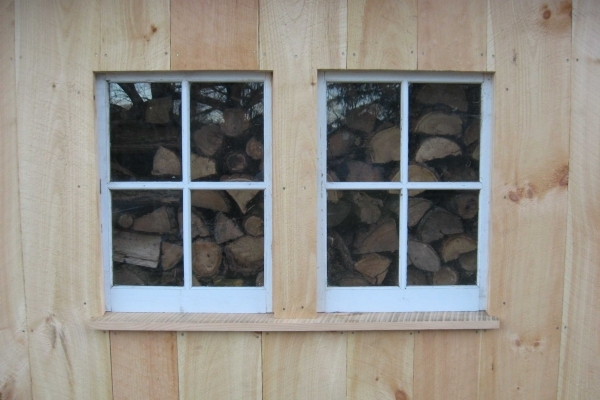 It provides firewood and equipment storage for the owners.